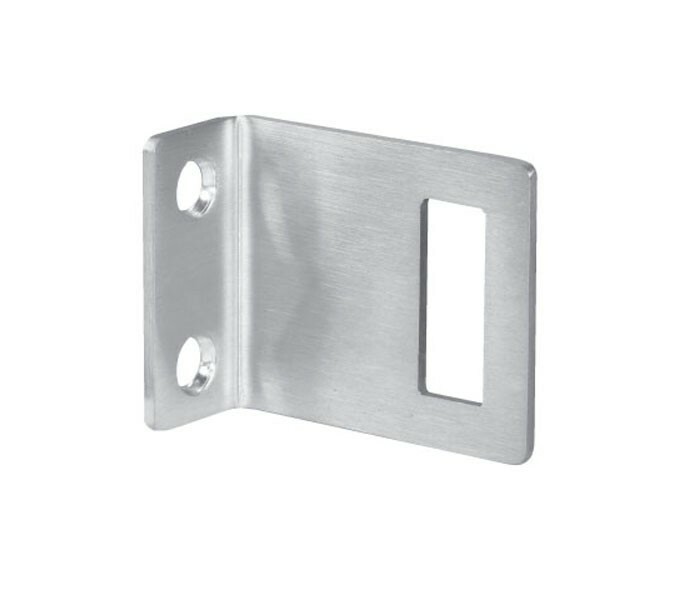 This cubicle lock keep suitable for 20mm board is the perfect solution for those seeking an ‘L’ shaped toilet cubicle lock keep to be surface fixed onto an open-in cubicle door. 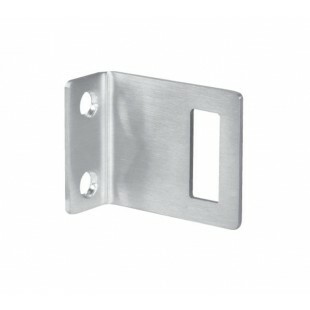 This product is manufactured from grade 304 satin stainless steel for an innovative and long-lasting finish that matches with our full range of satin finished cubicle hardware. Our cubicle lock keep is sold complete with two 8mm rubber buffers to ensure the correct alignment is achieved when fitted and to avoid fingers becoming trapped in the cubicle door.